A Beverly Hills pad with ties to Elvis Presley is back in the hands of a Morton. 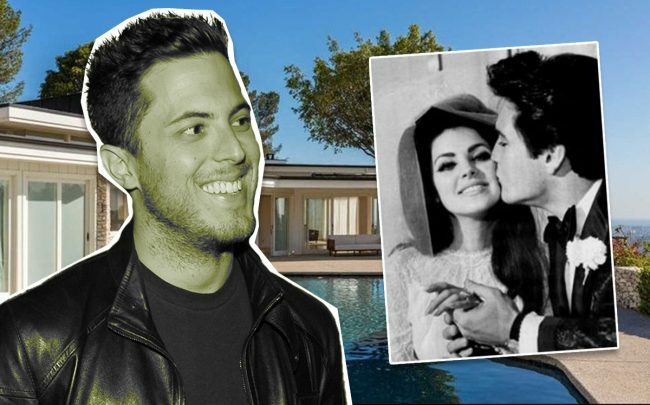 Harry Morton, son of Hard Rock Café co-founder and Los Angeles real estate high roller Peter Morton, paid $25.5 million for a Trousdale Estates home once owned by Presley, according to the L.A. Times. The elder Morton owned the property for two years before selling it for $14.5 million to businessman Hamed El Chiaty in 2014. Chiaty listed it in 2016 for $30 million. The 1958 home measures under 5,400 square feet, a modest pad by today’s standards and an increasingly rare breed in an age when developers regularly tear down smaller homes with Old Hollywood pedigrees to build supersized spec homes. The home was recently renovated. It has four bedrooms, five bathrooms, a new kitchen, and floor-to-ceiling windows throughout. The backyard has a pool, a patio, and offers views of the city. The 1.2-acre property also has an attached guesthouse and four-car motor court out front. Presley and his then-wife, Priscilla, purchased the home after marrying in 1967. Presley has a storied real estate legacy in Southern California and his name is often featured in listings when a former home hits the market.